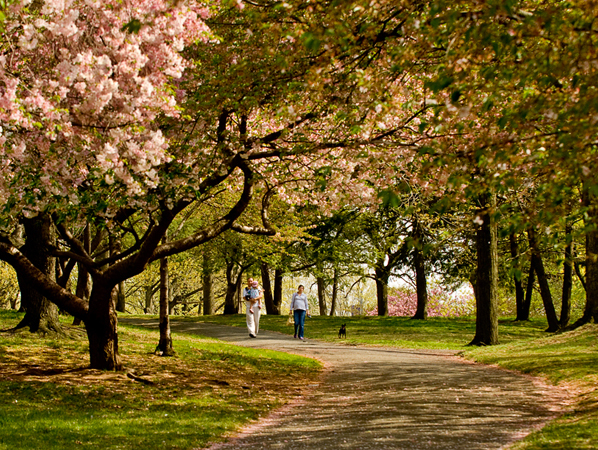 The largest park in the Essex County Park System was first envisioned by Frederick Law Olmsted, Sr. in 1867. 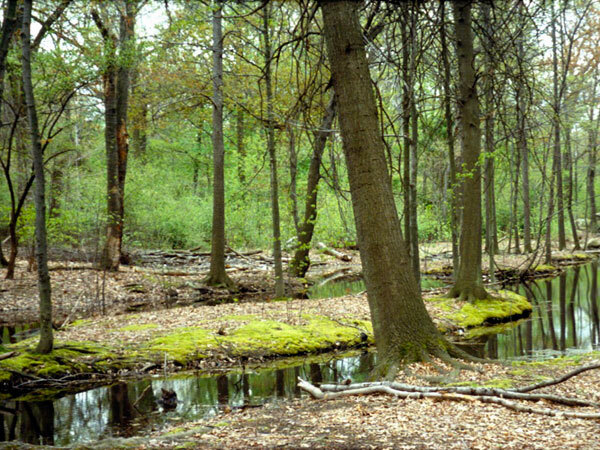 In 1895 John Bogart and Nathan F. Barrett created a plan for the park, which was revised by the Olmsted Brothers in 1898. John Charles Olmsted’s plan retained the more elaborate, formal elements of the Bogart and Barrett design around the reservoir to the south, while designing the northern portion into a more naturalistic park. 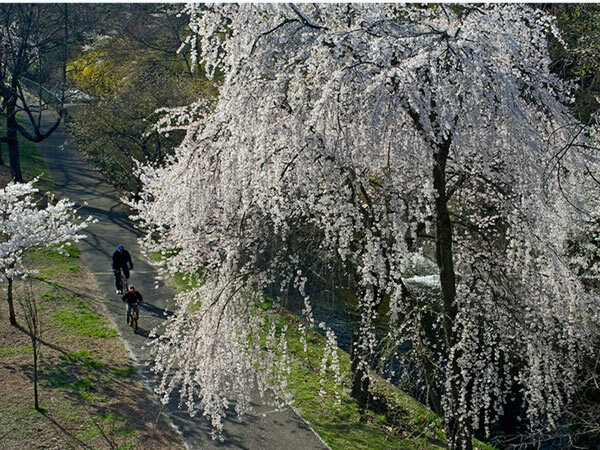 The 360-acre landscape is defined by the remains of the reservoir, a large lake, several meandering streams, a meadow, pedestrian bridges, and curving paths and roadways. It also supports both active and passive recreation. A formal entrance gateway, the gift of Robert Ballantine in 1898, is located on the east side of the park. 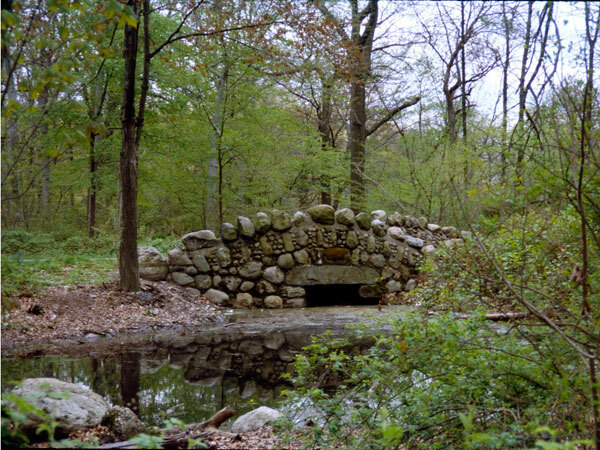 Branch Brook Lake includes the octagonal Meeker Mound Pavilion, designed by Carrère and Hastings, and a concert area south of the lake that is still in use today. 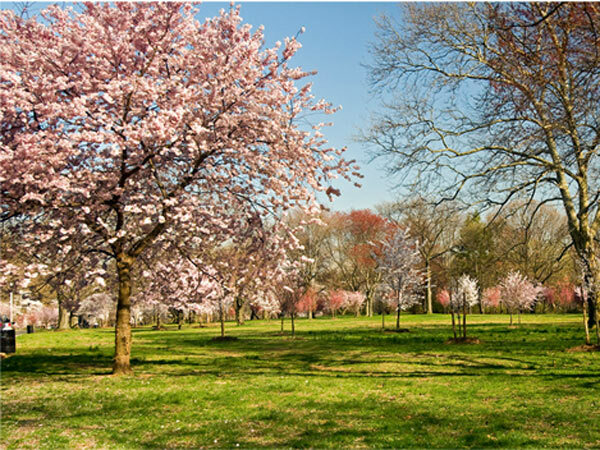 One of the park’s most notable features is a collection of flowering cherry trees donated by Caroline Bamberger Fuld in 1928. 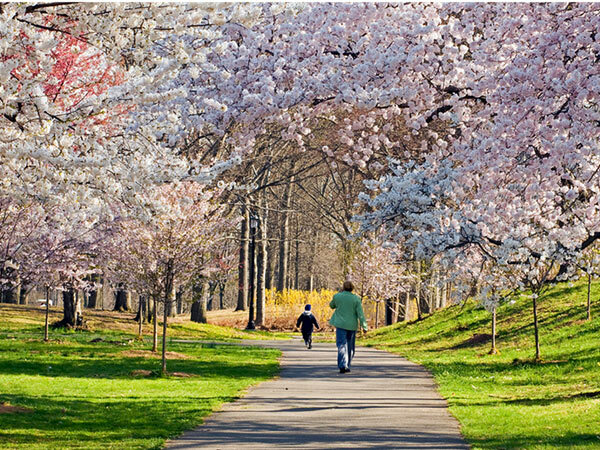 Begun with 2000 cherry trees, the plantings also include a diverse range of evergreen trees and shrubs to offset the pale cherry blossoms. 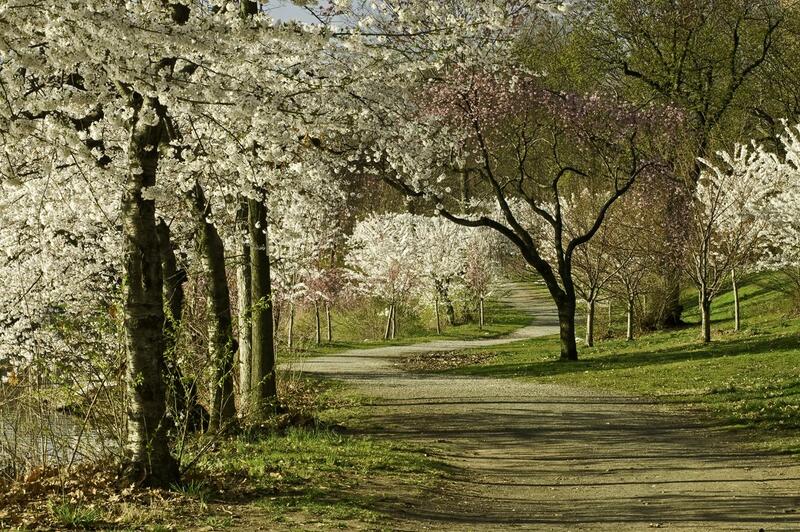 Today the collection is the largest on the East Coast, with more than 4,000 trees and over 20 varieties. 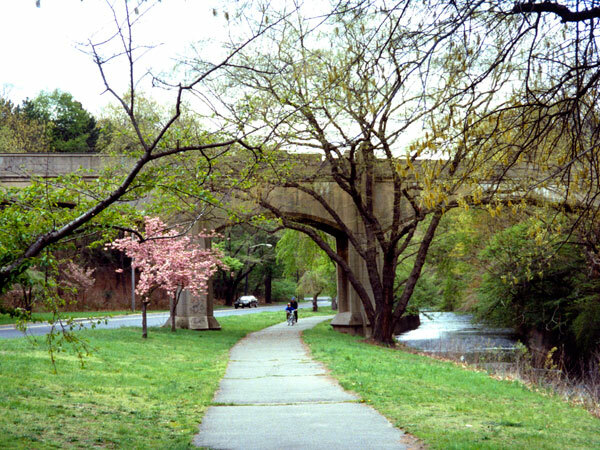 The park was listed on the National Register of Historic Places in 1981.